At least 138 people are now known to have died on 26 January in attacks by members of the Islamist terror group Boko Haram on villages in Adamawa and Borno States in north east Nigeria. Around 53 people are reported to have died and dozens were wounded in Adamawa State when militants armed with AK-47s and improvised explosive devices (IED’s) attacked a Catholic church in Wada Chakawa in Madagali Local Government Area (LGA) just as a busy Sunday service was ending. After killing a police inspector and sergeant who were guarding the church, the gunmen barred the doors, shooting anyone attempting to escape through windows. They cut the throats of several victims before burning houses and holding residents hostage for four hours. According to the chairman of Madagali LGA, the assailants went on to invade a border village before retreating into neighbouring Cameroon. 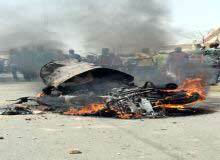 So far 85 people are now known to have died in an attack by Boko Haram on a weekly farmers’ market in Kawuri Village in Konduga LGA, Borno State, on the same day. According to survivors, sect members descended on the market in 26 vehicles, two armoured personnel carriers (APC’s) and six Toyota Hilux vans painted in army colours. They blew up the market, shot men, women and children, and set fire to buildings, destroying over 300 homes. Many victims were burned beyond recognition. The gunmen also left IEDs in the area that exploded the following morning as people searched for missing loved ones. Around 40 people have been hospitalised with severe burn or gunshot injuries. The death toll is expected to rise even further; according to local media reports, 16 people are still missing. Adamawa, Borno and Yobe states have been under a state of emergency since May 2013. Since then, Boko Haram has shifted its attacks from urban areas, to soft targets, such as highways, schools and remote rural communities. Madagali LGA in Adamawa is situated on the border with Borno State, where Boko Haram has mounted a series of attacks on that have devastated rural communities. Over 200 people are estimated to have died in terrorist violence this month. Within the last week 37 communities in Damboa, Konduga and Gwoza LGAs suffered terrorist attacks that have caused large scale population displacement. According to the Office of the United Nations High Commissioner for Refugees (UNHCR), nearly 6000 Nigerians fled into Cameroon and Niger within a ten day period. Nigerian nationals and foreigners kidnapped by the terrorists are regularly held in northern Cameroon. The Cameroonian government recently said it had reinforced security on its northern border with Nigeria, Chad and the Central Africa Republic. For further information or to arrange interviews please contact Kiri Kankhwende, Press Officer at Christian Solidarity Worldwide on +44 (0)20 8329 0045 / +44 (0) 78 2332 9663, or email kiri@csw.org.uk.